Introduction and Uses: Sweet corn in any form - grilled to caramelised tastes great. Just like the corn, sweet corn too is loaded with necessary vitamins and minerals. It is high in lutein and zeaxanthin, two phytochemicals that aid healthy vision. 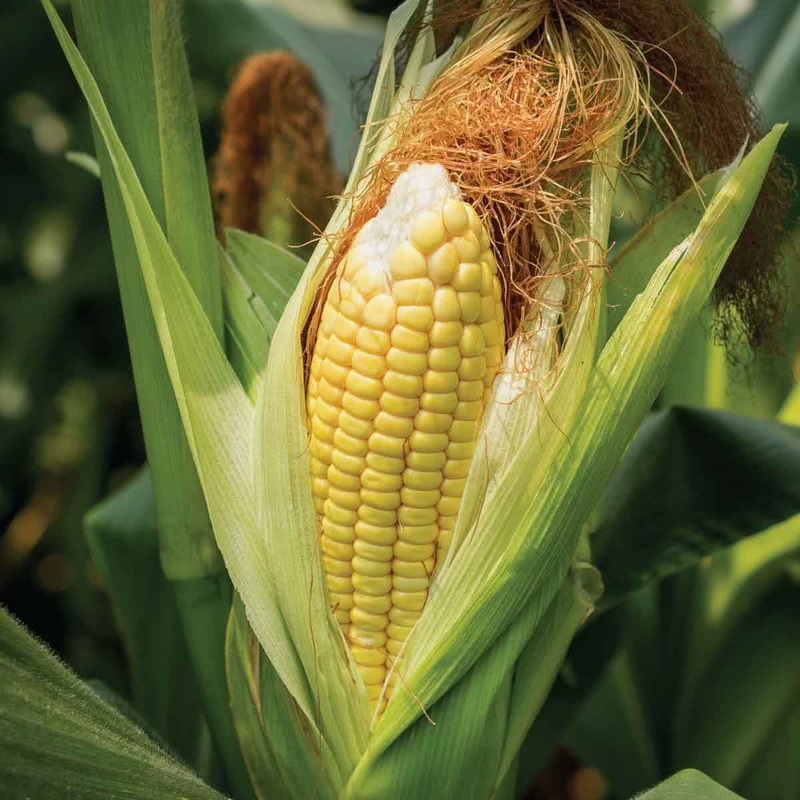 A midsize sweet corn ear offers about 3-gram dose of dietary fibre. Sowing container: Use broad container with a minimum depth of 8-12 inches & width according to the available space. Select a container with drainage holes at the bottom. On raised beds, plant 2 seeds per spot in a spacing of 2 x 2 ft.
Cotyledons: The first 2 leaves will emerge in the second week of germination. These are false leaves called as cotyledons. Thinning: After the second week, keep only single and healthy seedling at one spot, cut off the weak, small & lagging seedlings with a pair of scissors. Sunlight: Sweet Corn plants require full sunlight. Therefore your raised bed should be made at a bright sunny spot. Keep the Sweet Corn container under open sunlight. Watering: Water your potted Sweet Corn plant every day in summer & every alternate day in winter. Water at the soil near the plant. Use a watering can to make sure that the plants get water in the form of a shower & not by a single flow. You can also make provision for watering by drip irrigation system for your raised beds. 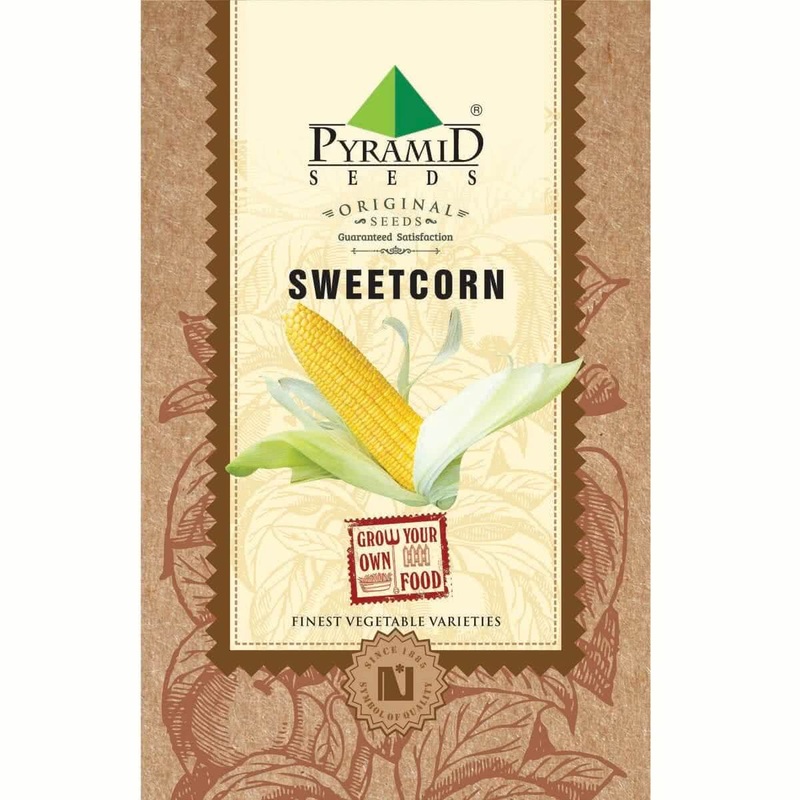 Top Dressing: When the Sweet Corn plant is more than 60 days old, Provide 1 tablespoon of 15:15:15 (NPK) fertilizer per plant or mix handful of Vermicompost in the soil around each plant. Harvesting: Maize plant will start flowering on of 3nd month; Maize cobs can be harvested after 80-90 days from seed sowing. Note: Note: Male flowers are formed on Top & female flowers are formed on plant at axis of leave. Maize cobs are formed on female flowers only after successful wind pollination.